We’d love your help. 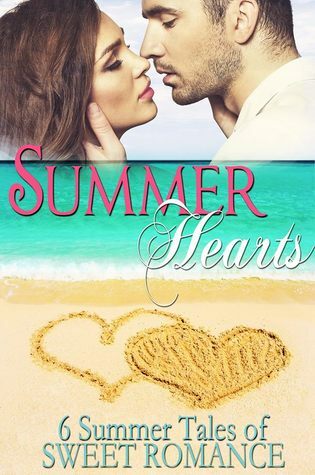 Let us know what’s wrong with this preview of Summer Hearts by Debby Lee. In the summer of 1967, Hollywood actress, Lucinda Baker, appears to have it all-- fame, money, and an all too doting fiancé. Dark traits begin to emerge from the man she's pledged to marry, and he threatens her. Lucinda must now lean on her best friend, celebrity photographer, George Creston to escape the clutches of the dangerous relationship. Together they are forced to summon courage, and trust each other in desperate circumstances. Will they find love in the process or lose everything they hold dear, including their lives. To ask other readers questions about Summer Hearts, please sign up. A delightfully sweet read just in time for the summer. Filled with romance and summer fun these short story will deliver a sweet escape during your hot summer days. Not just your typical fun in the sun tales of romance. I especially loved reading Drowning Sandy by debut author Sarah Daley. If your looking for something a little different but light and fun and easy to read this is for you. I loved it! My favorites were the mermaid story and the shark story. Very creative, fun, clean and enjoyable. I would have liked a little more from the others but again they were still really good. Spotless and still very yummy. This is a beautiful collection of love stories for everyone to enjoy. I especially loved Sarah Daley's mermaid tale, Drowning Sandy, was my favorite! She gives you a beautiful story of choices and love.